I don’t know about you but I need to have lots of nice inspiration around me when I am starting a new project or setting a lofty goal for myself. For my Chanel jacket I have found a lot of information online from generous and talented bloggers (listed below) who have gone on this path before me and I want to add to that body of knowledge by sharing with you a list of the inspirational and technical resources I am using. I love looking at this book for inspiration, it shows different versions of the famous Chanel jacket in different decades. Apart from that it is a great book for any lover of Chanel. The back of the book. Look at the gorgeous fabric of this Chanel jacket! Coco’s favorite model Marie-Hélène Arnaud. By Sante Forlano for Vogue France, 1958. I just bought a used copy of this book on Amazon and haven’t yet had a chance to delve into it but hope that I will get to read about the nitty-gritty of Chanel’s working methods. Shaeffer has a whole section devoted to “Chanelisms” which I plan on referring to often. From the section on Chanel jackets. 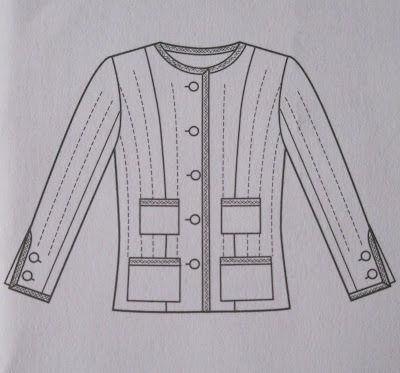 Featuring the six-part series Claire Shaeffer is writing about sewing the jacket, based on the pattern she designed. This particular issue, August/September 2012, features the second article in the series, with a piece about fabric selection. This was not easy to find. Taunton, the publisher of Threads, is sold out of the back issues online so I turned to eBay. The issue I wanted eventually turned up after a two-week search. 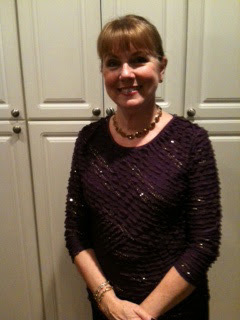 The article, “Inside a Chanel Jacket,” was written by Susan Khalje, whose online “The Couture Dress” class I took earlier this year on Craftsy. The article is wonderful but I have to say it scares me a little because I feel it is for advanced sewers (which I am not). Still, a great resource. Threads No. 121 from November 2005. I am probably most excited to have learned about this documentary, made for the Sundance Channel in 2006. I had never heard of it before and it features something near and dear to my fashion-loving heart—haute couture atelier seamstresses. Oh how I love watching those ladies at work! I will do a separate review of this show in a later post. This was another eBay gem. I'm getting a peek into the Chanel atelier watching this series. Chanel’s quick video showing the seamstresses making a jacket is one I have already watched several times. I need to channel the offhanded confidence, not to mention technical know-how, of the head seamstress (herself in a Chanel jacket). And are Chanel jacket seamstresses really that good-looking? 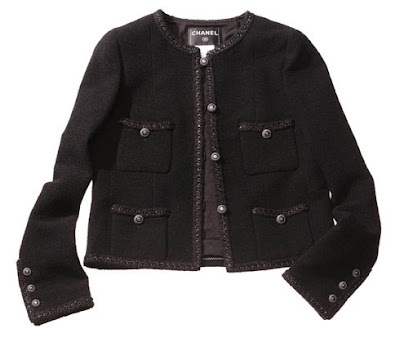 You can watch this little black jacket being made on Chanel.com. Seeing Erica’s finished jacket has been a big inspiration for well over a year and her sewing blog is one of my favorites. Marina took Susan Khalje’s Classic French Jacket course (which costs $1,195) and her posts and pictures on the class are fantastic, I felt like I was there. I plan on re-reading her wonderfully detailed posts as I make my jacket. Grace is the reason I found out about Threads No. 121 and Signé Chanel (Thank you, Grace!). 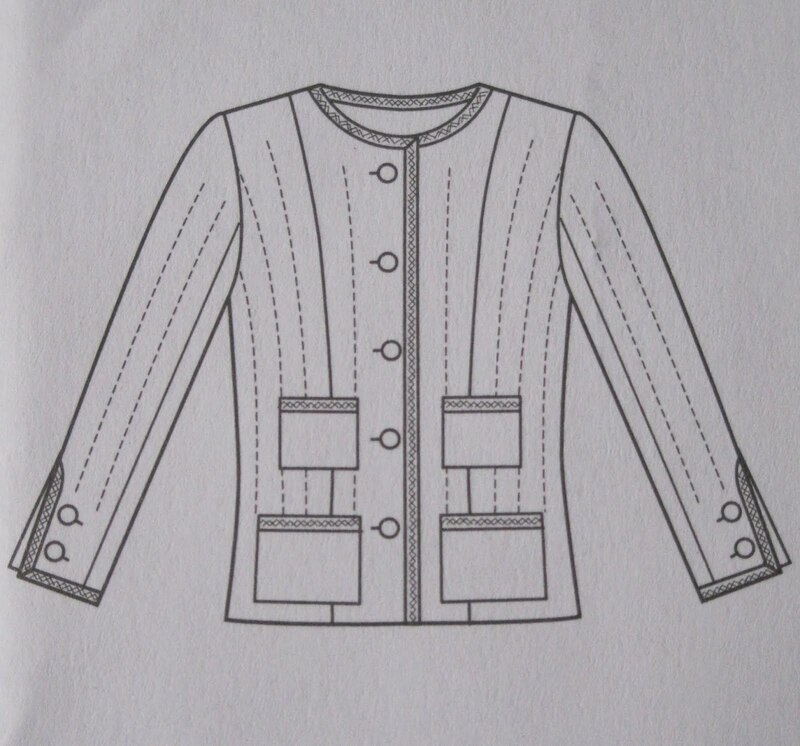 She also lives in Brooklyn and said she is making the jacket using Claire’s pattern (V8804) too. I hope she will blog about her experiences. I also hope we get to meet and compare notes on our muslins! My mother has a lot more sewing experience than I do and it’s so helpful to be able to ask her questions. It’s a lot better than consulting my Vogue/Butterick Step-by-Step Guide to Sewing Techniques, or feeling my sewing dyslexia coming on (What are selvages again? How do I lay out pattern pieces?) and dissolving into a DIY panic. I so admire you for tackling this, Jill! I cannot wait to see the final project. Thanks for sharing each step with us! I am also planning a jacket in the near future. Can't wait to see your swatches....where did you source your fabric from? what an exciting project! And such dedication Jill pulling all these resources - it's bound to be a sensational jacket when it's finished. What a thorough post, Jill. I bet you come out with a magic jacket. Love having met you mum. I am so excited to see the stages and the final product. The best sewing project I completed is still hanging in my closet after 20 years: a Ralph Lauren dress that I made from a really pretty piece of muslin when I was in college. My mother taught me sewing skills, and they came in handy for many years. When life settles down, I have a shelf full of fabric I picked up at Mood and I want to flex my sewing mating again. I can't even imagine trying to make a Chanel-style jacket. I know you're going to hit this one out of the park if it turns out anything like your black lace pencil skirt. I need to get a copy of the Vogue Sewing. I've been hunting for it and it's either sold out or hasn't arrived at my usual magazine shop. I'm finishing up a class at FIT this week but next week I'll get out my Chanel jacket to examine my progress. Now that I have some more patternmaking and muslin making experience I make want to revisit my muslin yet again. Oops, I meant that I need to find a copy of that Vogue Pattern magazine. This is such an exciting project. Are there significant differences in the jacket from decade to decade? I can't wait to see the outcome!! Go Jill! I'm psyching myself up to do this sometime in the fall. You and your mother are quite the chic pair. 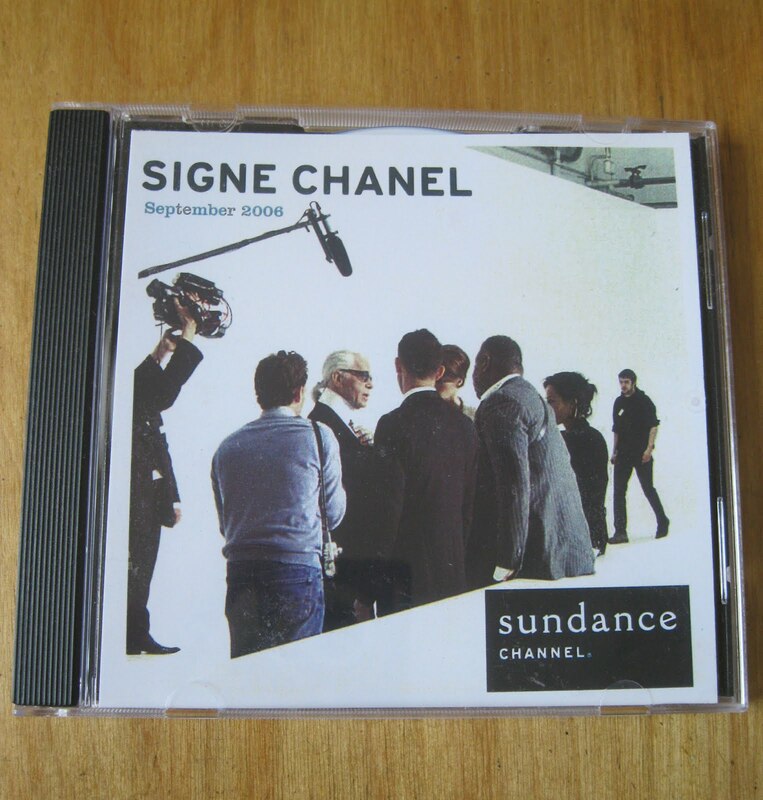 Oh my gosh, I can't tell you how many times I've watched Signe Chanel. I especially love the woman who makes the famous braid. Several years ago Claire Shaeffer put together a PDF file on her collection of Chanel garments, and she is probably still selling the CDs. It is a great resource because she shows close-ups of the details and has written explanations for everything.